The witty "jerk" named Madeleine Altimari is a rebellious nine year old who is aspiring to be a jazz singer like her mother. While still mourning the recent death of her mother, she encounters a strange cast of mishaps and characters on her way to let the world hear her singing. The little smart-mouth girl has to fend for herself in the world of unfairness and cockroaches. She is surrounded by mean classmates, rejection at school, taking care of her grief-stricken father all the while trying to find her spot in the world. Lorca is the owner of The Cat's Pajama who recently hit a string of bad luck and needs $30,000 to save his jazz club. Sarina Greene is Madeleine's teacher who is also going through a divorce and recently started to rekindle a friendship with a high school sweetheart, Ben. Together with Madeleine, they string together a tale of events that leads them all to The Cat's Pajama at 2 A.M. The story reads like a prose from a poem. It is written in a span of roughly 24 hours, three characters search for love, music, hope, being lost, a sense of belonging and a connection. The book is a quick read as it is separate in time increments and it is told through point of views of each of the "main characters". Majority of the time, the book lapses time normally but on page 127-128, time went backwards which was a bit weird and made no sense. The story seems a bit weird and hard to imagine the story ever happening and the characters are not very relatable, at times. The story is filled with profanity and violence while making a nine year smoke cigs and aggressive father hard to love and root for. The story is filled with lapses and the end makes very little sense at all. The entire book Madeleine struggles to have her voice heard but when she does, she causes "incidents"? How this ties into the flashback with her mother and father and the ending is very ambiguous at best. The story reminds me a bit of Matilda but sadly doesn't compare to the greatness of Roald Dahl's masterpiece. Although, the title is quite cute. 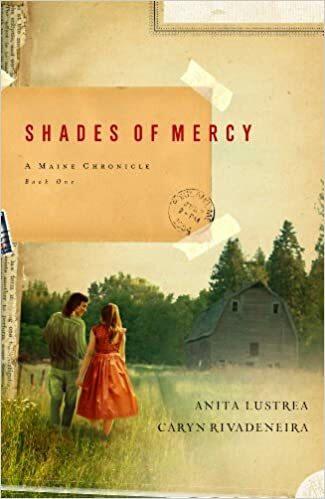 In a coming of age story, Mercy Millar the daughter of an affluent farmer falls in love with a childhood playmate and has her faith tested in God, her father and being in love. The story begins with the grandmother (Mercy) anxiously waiting for her granddaughter to visit her. Her granddaughter became interested in the Maliseet culture and wanted to know more about her grandfather. Excitedly, Mercy begins her story in 1954 where racial tensions were high and faith/tolerance among each other was low. Mercy being the "son" her father had, was used to the farm work and driving to the "dump" where the Maliseet tribe lived to pick up men for work. One can say, the reason why she eagerly makes the drive is so she can see her beau, Mick. She was used to being seen in her father's eyes as a son. Until the "incident" happens and causes the some of townspeople to turn against the Maliseet tribe. Looking for a scapegoat, people starting blaming the Maliseet tribe for all sort of problems. Which is how, Mick gets thrown into jail and the world Mercy knew and hoped for comes crashing down on her. Will Mercy be able to keep her hope in everything she believes? The romantic coming of age story is imbued with elements of faith, hope, family, love, tolerance and mostly forgiveness. The story does this nicely but it does move on a slower pace. My biggest disappointment on this book is that there wasn't enough dialogue between the grandmother and granddaughter. I wish it tied in with Mercy's story, more even though it's supposed to be a love story about Mercy and Mick. A recent string of murders have left the city of Houston wondering if its the work of a serial killer or copycats. The unlikely FBI agents Thatcher Graves and Bethany Sanchez team up to help solve the mystery. Thatcher being the more "trust my gut" agent while Bethany is more rules and analytical type. Can the two work together especially since Thatcher has put Bethany's brother in prison? 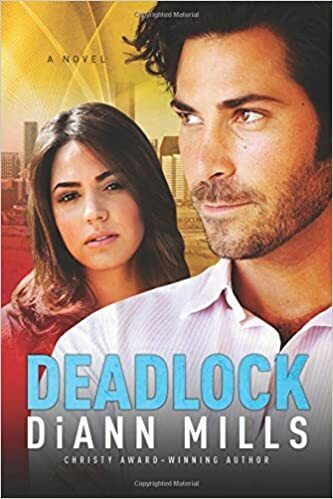 The fast pace thriller leaves readers wondering, can the two put their differences aside to figure out the murders as they two clearly are not the most suited of partners. As they continue working together, one thing they cannot deny is the fact that they are attracted to each other. Would their feelings and different styles of investigating make them stronger? The tale that has a colorful cast of characters, it leaves the readers wondering who would be the next victim or if they are the mastermind behind the killings. My only qualm is that with Thatcher, Bethany seems a bit weak with her emotions and unable to control them. She comes off as the ice queen but with others she drips emotion as a needy child. However, Thatcher has no real character growth other than falling in love with Bethany. The book is high on drama and adrenaline with interwoven elements of romance and faith. An interesting tale on how they are all interwoven together. A must read for any DiAnn Mills fan with a highly unexpected ending. The cute bath melt comes in 4 sections which allows you to use as little or much as your heart desires. Personally, I didn’t find this bath bomb intoxicating (promised scents of vanilla and fresh citrus, I sniffed neither) and it was rather meh sniffing to me. The silky bath melt is packed with Pacific sea salt, cocoa butter, goat milk, and sodium bicarbonate. The bath was a bit slippery because of the oil blends, so please be careful. My skin was silky smooth (I used all four squares) but I noticed the bath melt didn’t melt completely and kind of morphed into a little ball and stayed in the bath with me. It was kind of weird looking. Overall, for around $6 I am in no rush to try this again. An exhilarating page turner that reads like an authentic source between the feud of Houdini and "The Witch of Lime Street". The story takes place in a time where science and paranormal lines blur. The time when people crave to believe there is more to live than what the eye and science and prove. The Roaring Twenties, is mostly known for the jazz and flappers but also the rise of Spiritualism. "The Witch of Lime Street", also known as Margery or Mrs. Crandon and Houdini cross paths when the Scientific American decides to run a contest (which also was all in rage) to see if they can find the first scientifically verified medium. The judges composed of 5 men from various backgrounds embark on the journey together. One by one, they were able to systematically weed out the frauds. Until, the "witch" showed up, causing the committee to be torn and turned against each other as the time passes. The book is deeply engrossing and leaves you wondering which of the two characters is telling the truth. Is there a way to connect to the afterlife or is it all hocus pocus? A great read all year around but especially thrilling to read around Halloween under a blanket and hot cocoa in hand. I never smelled frankincense but I saw this and thought I should try it. It has an interesting scent. It's hard to put a finger on what it smells like. Many describe the aromatic resin as woodsy, warm, balsamic aroma. It smells good nice but it can be a bit overpowering at times. I used a couple drops during bath time and it lasted for a while. The 10.6oz candle provides 60 hours of burn time. Springtime in Paris was the inspiration for this sweet scented candle. It has notes of African violet, black currant, and cashmere musk. The candle is house in a white glass with delicate gold-screening. The hand poured wax candle has a soft delicate scent. I love the candle but sadly I would not be purchasing again unless its 50% off as the candle doesn't burn evenly and once it is extinguished the scent dissipated in the air. The midnight blue frosted glass houses a sweet scented floral candle. I also love the cute linen gold label, it was a lovely touch. The hand poured wax has a burn time of 35 hours. It leaves the house softly scented and has soft powdery scent. I found this candle online for around $20 shipping and tax included. The candle lasted for a bit and was a nice treat lighting this before bedtime. The first dish I tried from this delivery was the tandoori - spiced chicken. It was delicious and super easy to make. My own qualm is that most of the dishes rely a lot on the seasoning with mostly salt and pepper like every other step. The tandoori chicken was delicious but they have a bit too much of lentil for my liking. This was delicious but I found the green beans weird combination. As noted below, my beans had moss and I had to throw away some of it. The pasta was an okay choice would have prefer couscous as a better option. I added some crushed garlic to the final product as it lacked a bit taste and depth. I can't eat pork but my boyfriend found the dish to be okay. He did like the use of the stone fruit as it added a nice complexity to this dish. The corn side dish was delicious and made a great side dish for other dinner entrees in the future. As a note, my delivery was for Friday but I cooked my meals on Monday, Tuesday and Wednesday but I noticed most of my food were showing spoilage. The greenery items started to wilt noticeably and my green beans had white moss on Monday. Some of the veggies also came blemished and visibly wilted. The expiration date on the meat was within 5 - 7 days of delivery. The fish had no expiration or labeling. As the cheaper of the food delivery programs, I was looking forward to the delivery but was disappointment by a) the seasonings & taste b) the food quality and condition c) the combinations are interesting but lack intrigue.